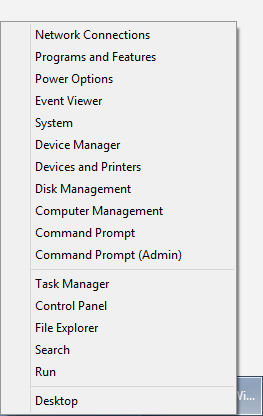 Windows 8 includes a new power user menu accessible by pressing Win+X, which I've discussed before. By pressing Win+X or right clicking in the bottom left corner of the screen, you get the menu with shortcuts shown on the left. This screenshot shows a modified Win+X menu with "Network Connections" and "Devices and Printers" added. In this post I will show how to modify the menu and add or remove commands. 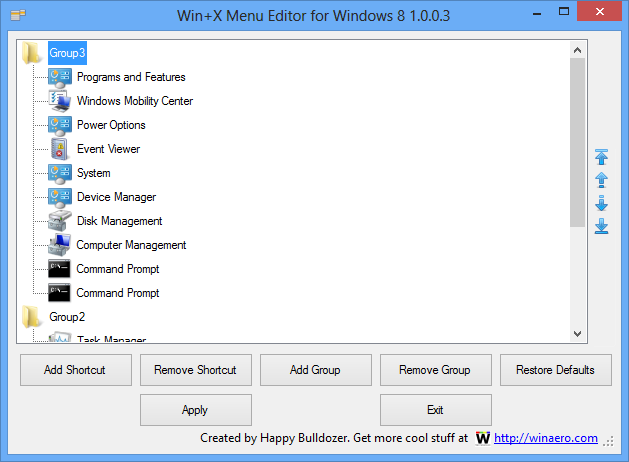 To modify the menu the first thing you will need to get is a program called Win+X Menu Editor. Click the link and scroll down to the download section to download it. Once downloaded, extract the ZIP file into a new folder. If you don't have the Visual C++ 2010 runtime installed, double click vcredist_86.exe to install it. Next open the folder corresponding to the version of windows you are running. x64 folder if you are running 64-bit Windows or x86 if you are running 32-bit. If you are unsure, you can determine this by clicking the System item inside of the Win+X menu and checking the System type line. 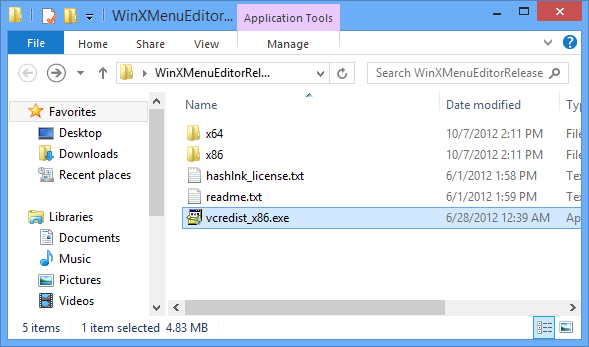 Inside of that folder, open WinXEditor.exe and you will be presented with the following screen. 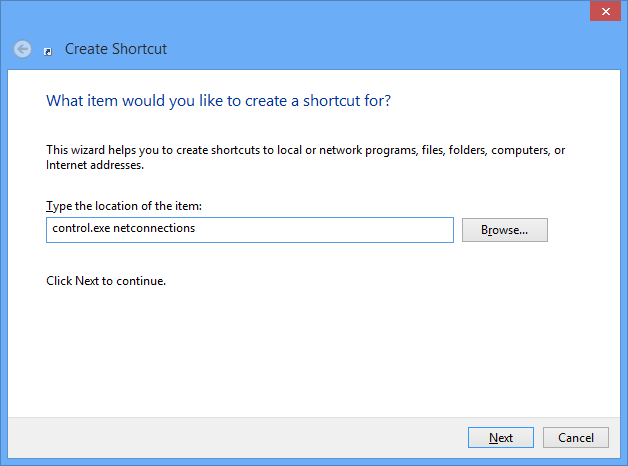 This program will let you add, remove, and rearrange shortcuts. Click Add Shortcut and locate the file or shortcut that you want to add. Once everything is arranged the way you want, click the Apple button. Your explorer will be restarted and the Win+X menu will now be updated. 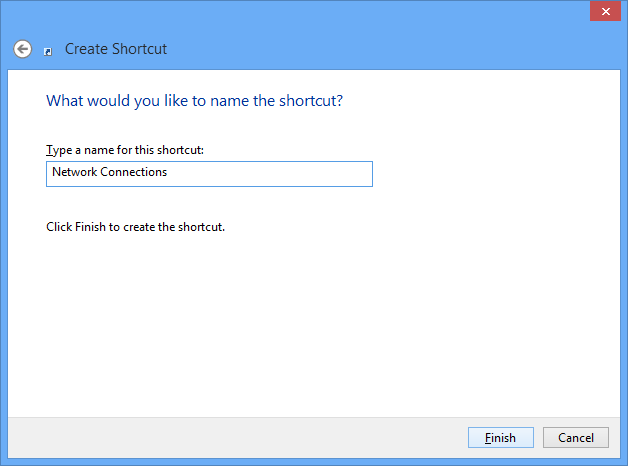 If you want to add shortcuts to Network Connections and Devices and Printers like I have done, you will first need to create the two shortcuts. In the ribbon, select New item>Shortcut. The two shortcuts have been created. Now select these shortcuts when you click the Add Shortcut button in the Win+X Menu editor. I am a die hard fan of Windows 7 but still I have installed Windows 8 , And I found out that its start menu is a big headache . Any solution ? Guys you can upgrade to Windows 8.1 Pro Key from: softkeyhome.co.uk, the keys in that site is genuine and cheap, you can have a try.